There’s no doubt that Red Dead Redemption 2 is one of the biggest games due this year. The first Rockstar Games title to launch since Grand Theft Auto V in 2013, it will release for PlayStation 4 and Xbox One on October 26th. 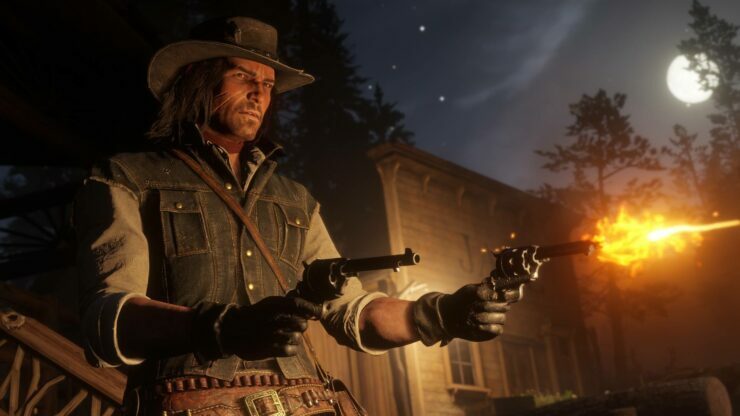 Replying to a question during yesterday’s investors call (transcript by Seeking Alpha), Take-Two CEO Strauss Zelnick talked boldly about Red Dead Redemption 2 shattering expectations and delivering an extraordinary, yet unexpected online experience. The answer’s yes, we attribute the long success [of GTA V] to the fact that the title just captured the imagination of the public and set a standard not just for our company, but for the industry of what a great video game ought to be. And the online experience is so incredibly robust. It allows you to do so many different things and it keeps people engaged on an ongoing basis. And then Rockstar Games continues to drop extraordinary unexpected content into the game. So, you’re right, it defied our expectations. Part of it is, when we first released Grand Theft Auto V and we had Grand Theft Auto Online on its heels, we had never done anything like that. We Take-Two, we Rockstar Games, had never done anything like that. We didn’t know what to expect. And the cadence of its ongoing extraordinary success too is new to us. Does it inform how we look at titles that come after? Well, naturally, it does. But the nature of our approach collectively, specifically, the nature of Rockstar Games approach, is never to be derivative and always to shatter expectations. And my belief is that Red Dead Redemption 2 will shatter expectations and that the online experience also will be extraordinary, but unexpected. And my view is that all great hits are, by their very nature, unexpected. So that’s the goal. There is an expectation around the table, here of course there’s an expectation at Rockstar Games and there is expectation on the part of consumers. But our job is to exceed those expectations. And fingers crossed, that’s we’re all setting out to do. And we couldn’t predict it and didn’t presume to with regard to Grand Theft Auto V and we wouldn’t presume to with Red Dead Redemption 2. So, we’re just hard at work, doing the very best job that we can. With regards to GTA Online itself, Strauss Zelnick noted that the latest After Hours update had a bigger week-one audience than Doomsday Heist, which previously held the record, and added that Rockstar Games will produce much more innovative new content for the game to drive engagement and keep the game world thriving. Meanwhile, sell-in for Grand Theft Auto V is approaching 100 million units.